The BBC reports on how social scientists are starting to use game worlds as laboratories to study human interaction. 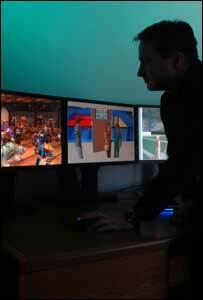 “Researchers are getting insights into real life by studying what people do in virtual worlds, reveals a review in the journal Science. It suggests virtual worlds could help scientists studying ideas of government and even concepts of self. Others are looking at behaviours peculiar to online worlds and how they differ from real life. Online worlds offer great potential to social scientists because they overcome some of the problems these researchers encounter when gathering subjects in the real world, Dr William Bainbridge, head of Human-Centred Computing at the US National Science Foundation, wrote in the journal. For instance, he wrote, social scientists often face problems finding subjects fast enough or securing funds to carry out the research. The popularity of online worlds such as Second Life and World of Warcraft meant there was a ready pool of subjects that could be recruited over long periods of time for little cost, he said.